Gov. 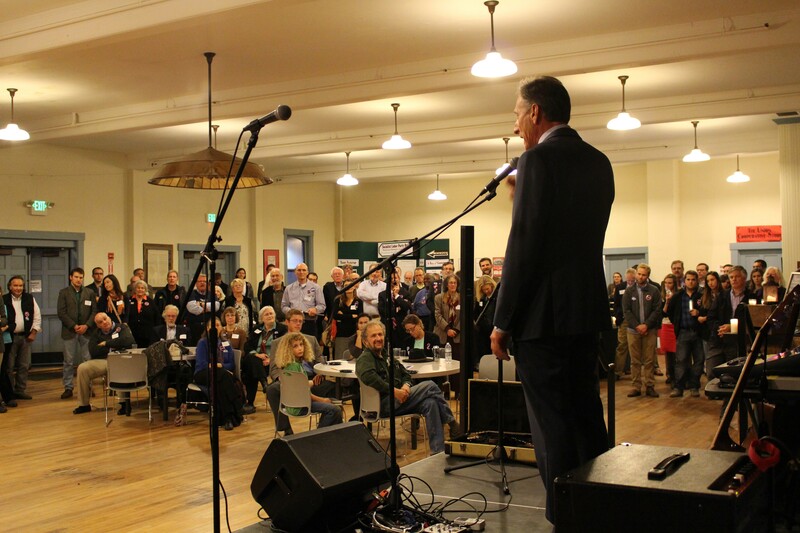 Peter Shumlin addresses a Democratic rally last Thursday at Barre's Old Labor Hall. Halfway through a 14-hour, election-eve tour of Vermont’s 14 counties, Lt. Gov. Phil Scott noted a positive sign in liberal Brattleboro late Monday morning. On Tuesday, voters will decide whether to reelect Vermont’s sole statewide GOPer — or replace him with former Burlington legislator Dean Corren, the Progressive/Democratic nominee. Neither, it seems, are many Vermont voters. Political observers anticipate low turnout Tuesday in what many agree has been the state’s least competitive campaign season in years. With so few expected to journey to the polls, the results could be unpredictable. Among the biggest questions is whether Gov. Peter Shumlin wins more than 50 percent of the vote. If the second-term Democrat fails to do so, the election would be decided by the legislature. And while its Democratic majority would almost certainly return Shumlin to office, such a result would be seen as a rebuke to the incumbent. Shumlin appears to be taking few chances. In a report filed Monday afternoon with the secretary of state’s office, the governor reported spending nearly $342,000 in the final 19 days of the race. Republican nominee Scott Milne spent $98,000 in that same period, while Libertarian Dan Feliciano spent $13,000. 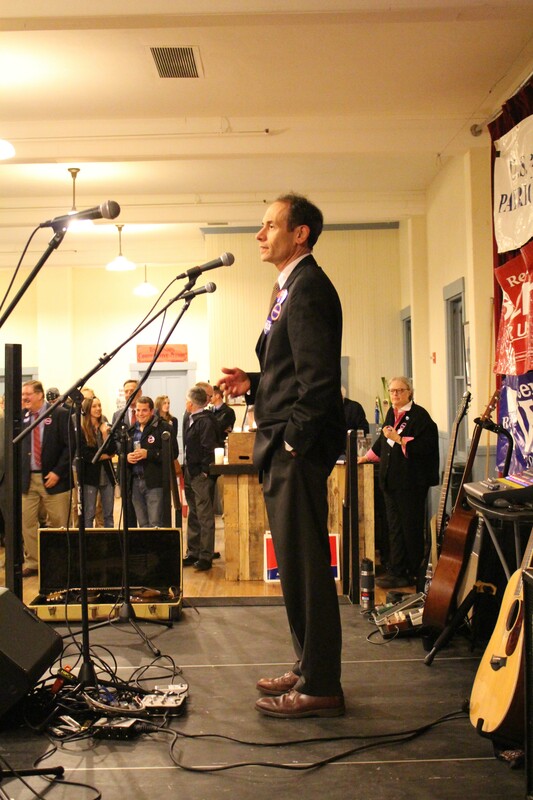 Throughout the campaign, Shumlin has spent $890,000, compared with Milne’s $211,000 and Feliciano’s $45,000. The latest reports show the Vermont Democratic Party contributing nearly $83,000 to Shumlin’s reelection campaign, mostly through direct-mail pieces it financed. Milne, meanwhile, loaned his own campaign another $50,000 — bringing his personal contribution to more than $75,000. In the race for lieutenant governor, Corren reported spending more than $92,000 in the past 19 days, while Scott spent less than $10,000. Those numbers don’t tell the whole story, though, since the incumbent LG prepaid for $150,000 worth of television advertising earlier in the campaign. Few other statewide contests appear competitive. Four-term Congressman Peter Welch (D-Vt.) is expected to best Republican challenger Mark Donka for the second election in a row. The only other statewide incumbent facing a Republican challenger is Attorney General Bill Sorrell, who’s up against Underhill attorney Shane McCormack. The biggest surprises could come in the state’s legislative races. Democrats appear to be playing defense in at least four Senate districts, including those centered around Franklin, Rutland, Washington and Orange counties. In Chittenden County, Republican Joy Limoge has spent more than any other Senate candidate in the state: $32,000. Sen. John Campbell (D-Windsor) believes the races in Rutland and Franklin counties are the most competitive. He says he’s “optimistic” that Democrats and Progressives will continue to control 23 of the chamber’s 30 seats. “I’m hoping that we don’t lose a seat, and I think it’s very possible we maintain the status quo,” Campbell says. In the House, Democrats currently hold 95 of the lower body’s 150 seats. Republicans control 45, Progressives five and independents four. Rep. Don Turner (R-Milton), the minority leader, spent Monday campaigning alongside his party’s strongest prospects in St. Albans, Newport, St. Johnsbury, Barre and Rutland. Though he believes Vermonters are fed up with Democrats over health care reform and rising property taxes, Turner is setting a low bar for victory. Turner’s counterpart, House Speaker Shap Smith (D-Morristown), is equally cautious. 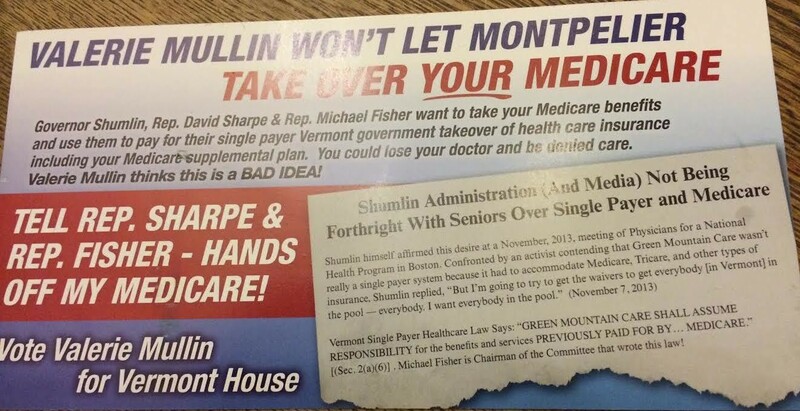 In the closing days of the race, Democratic officials criticized Republican legislative candidates Valerie Mullin, Valerie Harris, Doug Gage and John Mattison for sending mailers to voters accusing their Democratic opponents of trying to “take over” Medicare. The pieces allege that senior citizens could “lose [their] doctor and be denied care” under Shumlin's proposed health care reforms. Republican operative Darcie Johnston, who helped design the mailers, defends them, saying “there’s no doubt” that Shumlin and the Democratic legislature want to assume responsibility for administering Medicare. But Smith chalks the pieces up as part of a fear-mongering campaign.